Open your wallet. If you are like many consumers today, there will likely be a few loyalty reward program cards in your wallet. Perhaps it is for coffee, gas, smoothies, haircuts, or something else. When did these start, and more importantly, do they work? A new report studies 6,000 consumers and found that 69% of participants in loyalty programs are satisfied with the program. Millennials even alter their purchase behavior based on loyalty offerings; 68% change purchase behavior to get loyalty rewards and 60% will switch brands if incentivized. The study also found that the average number of loyalty programs people are enrolled in is 10.4, but only 70% of them are active. And, more than 65% of people also want to engage with loyalty programs through mobile devices. Among the top brand loyalty programs are Dove, Papa John’s, AMC Stubs, Kohl’s, Adidas, Jet Blue, and Marriott. What’s in your wallet? Discuss loyalty programs and their impact on sales. Poll students: List all the loyalty programs they use. 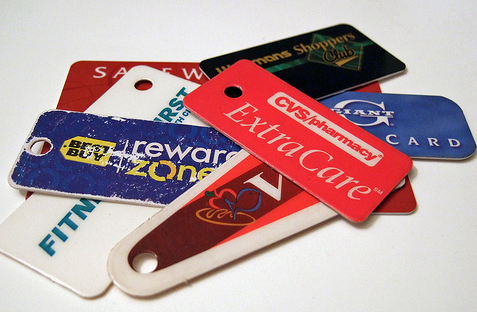 What is the benefit from these loyalty programs? Divide students into groups. Have each group select a product that does not have a loyalty program, and then develop a loyalty program for that product. Debrief by comparing the elements in each new loyalty program.